So You Want To Be A Magician? 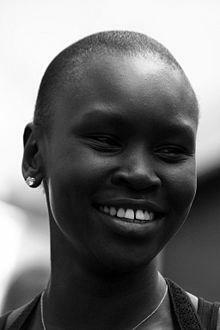 Alek Wek’s confidence and drive have contributed considerably to the re-definition of the Western standards of beauty. Her dark ebony skin, cherubic face and gorgeous smile have made her one of the most sought-after models in the world. So how did a young Sudanese girl become one of the world’s most famous models? There is no question that the story of her life is a true fairytale. Her story began on April 16, 1977 in Wau, Sudan. Her name is pronounced “Uh-lek,” and in its tribal translation, means “the black and white cow,” which is a symbol of goodluck to the Dinka tribe of Sudan. This goodluck would play out in several ways later in Wek’s life. In 1982, a civil war broke out in Sudan, which caused Wek to flee from her home country and seek refuge in Britain with her sister. Her father had died due to complications from surgery before she left for Europe. Whilst living in Britain, Wek worked full-time, and sent money back home to care for her mother and other family members. But her big break didn’t come until 1995, when she was discovered in a London market by a model scout—who knew what that encounter would then lead to? It was not long before she would become the acclaimed model she is today. 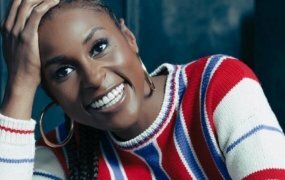 First appearing in several music videos, including Tina Turner’s “Golden Eye” and Janet Jackson’s “Got ‘Til It’s Gone,” Wek steadily gained recognition and signed to world renown model agency, Ford Models in 1996. Her star continued to rise when she was named the MTV “Model of the Year” in 1997. And from then on, her star has never stopped shinning! In 1997, she became the first African model to grace the cover of Elle Magazine. In 1998 i-D Magazine named her “Model of the Decade,” she was also one of People Magazine’s “50 Most Beautiful People” in 1999. Alek Wek has gone on to grace the covers of several magazines, including i-D Magazine, German Vogue, Essence, British Vogue, and Cosmopolitan — to name a few. One of the most sought-after models in the twentieth century, Wek has appeared in fashion shows and graced the runways of many high profile designers. Some of the notable and influential designers she has worked with are: Alexander McQueen, Aquascutum, Jasper Conran, Chanel, Christian Dior, Christian Lacroix, Diane von Fustenburg, Dries Van Noten, Fendi, Jean Paul Gaultier, John Galliano, Jones New York, Lagerfeld, Oscar de la Renta, Ralph Lauren, Ralph Rucci Chado, Vivienne Westwood and Yves Saint Laurent. Not one to rest on her laurels, Wek has added the title of “designer” to her resume. In 2005, Wek started designing her “Wek1933” handbags: The name was chosen as a tribute to the year her father was born. Also an acclaimed author and activist, Wek released an autobiography titled, “Alek: From Sudanese Refugee to International Supermodel” in August 2007. In her book, she tells the story of her journey from war in Sudan to the international catwalk. She also candidly explores the racism that she has experienced in her modeling career. Wek has also been a strong advocate against malnutrition in Sudan and has partnered with Doctors Without Borders in its “Bracelet of Life” campaign that highlighted malnutrition in Sudan. 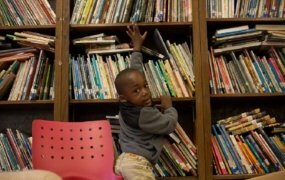 She is also an advisory board member for the U.S. Committee for Refugees and Immigrants. 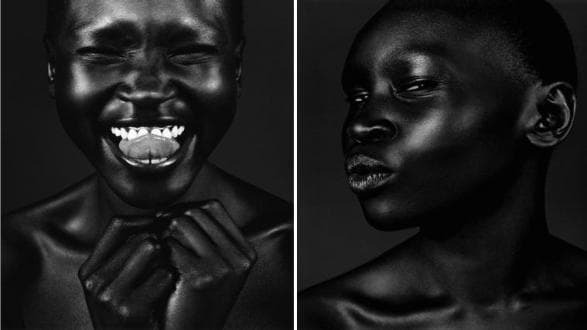 As Africa’s daughter, global citizen, international supermodel and businesswoman, Alek Wek is living proof that the definition of beauty cannot be based on one standard, but must make room for the unique attributes and features of women from different parts of the world! 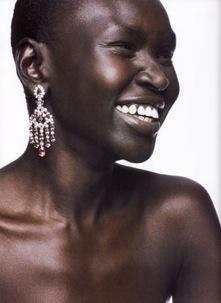 Here’s to Alek Wek, an epitome of beauty redefined worldwide!